The 6-foot-6, 257-pounder is considered more of a blocking tight end, which could make him a good complement with Jimmy Graham and Luke Willson, whose strength has often been in receiving. RENTON — With their fourth pick of the NFL draft, the Seahawks on Friday selected tight end Nick Vannett of Ohio State. The selection came at No. 94 of the third round, a pick the team acquired Thursday in a trade with the Denver Broncos. The pick would also be a hedge against Graham’s availability as he recovers from a patellar-tendon injury suffered Nov. 29. Graham is said to be rehabbing well, but the team has yet to set a date for his expected return. 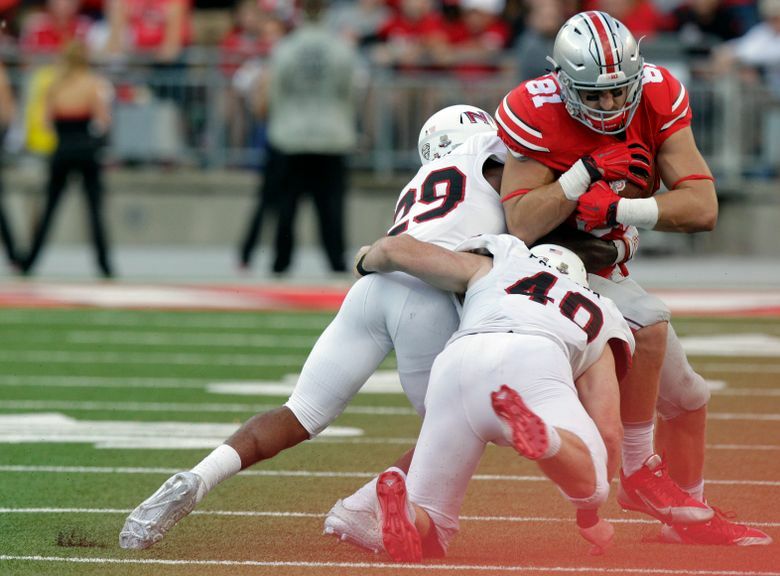 Vannett had 19 catches for 162 yards last season in what was his first year as a starter for the Buckeyes after backing up Jeff Heuerman, who is now with Denver, in previous seasons. Willson will also be a free agent following the 2016 season, so the choice of Vannett could give the team flexibility depending on what happens there.